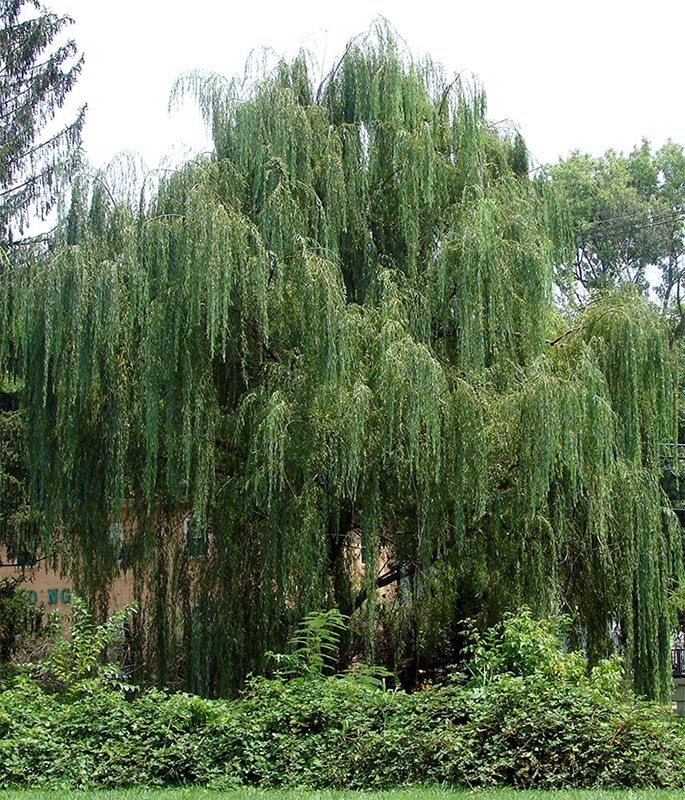 These nationally famous willows are located at the old home site of President Andrew Johnson in Greeneville, now a national historic site. The original tree was grown from a slip of the willow tree at the grave of Napoleon on the Island of Saint Helena. Captain William Francis Lynch, a naval officer and explorer, harvested the slip while touring the West Indies in the 1850s. On his return he gave the slip to then-Congressman Andrew Johnson, who planted it near the old gum spring at the rear of his residence. One section of the willow was presented to the National Historical Grove in Anacostia Park, Washington, D.C., on April 21, 1934. The trees growing on the home site were planted from scion wood, harvested from the original tree. In 1976 the willows were listed in the American Forests’ book Famous and Historic Trees by Charles Randall and Henry Clepper.